IAFF Local 3518 shared a post. The West Chester Fire Department protects the citizens, visitors and businesses of West Chester Township. The department operates out of five fire stations, staffed around the clock. The department currently operates two Fire Engines, one 75′ Quint, one 100′ Ladder Truck, one 100’ Tower Ladder, four Paramedic Ambulances, a Battalion Chief, a Hazardous Materials Unit, an Urban Search and Rescue (USAR) Technical Rescue vehicle, a Rescue Boat, a Brush Fire Pickup, in addition to a Reserve Fire Engine, a Reserve 75′ Quint, and two Reserve Paramedic Ambulances. 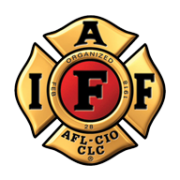 Much of the staffing for these apparatus is provided by the highly trained members of the West Chester Professional Firefighters, International Association of Firefighters Local 3518. Our members are made up both Firefighters and Lieutenants. Every Local 3518 member is an Ohio Firefighter Level 2, Paramedic, Fire Safety Inspector, and Hazardous Materials Response Technician. Many of our members are also trained in various technical rescue specialties, and CPR and EMS instruction. 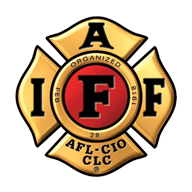 West Chester Professional Firefighters, IAFF Local 3518 looks forward to serving the residents, visitors and neighbors of West Chester for many years to come with the utmost dedication and professionalism. West Chester Township is located in Butler County, Ohio. Covering approximately thirty five square miles, the growing community is located just north of the City of Cincinnati. The township is one of the fastest growing in the state, and quickly on its way to becoming the second largest community in the Cincinnati area, and is the largest township in the state. West Chester continues to be an economic and cultural catalyst for the Cincinnati-Dayton metroplex. West Chester was recently recognized as the #1 place to live in Ohio. Click here to learn more about the community we protect!